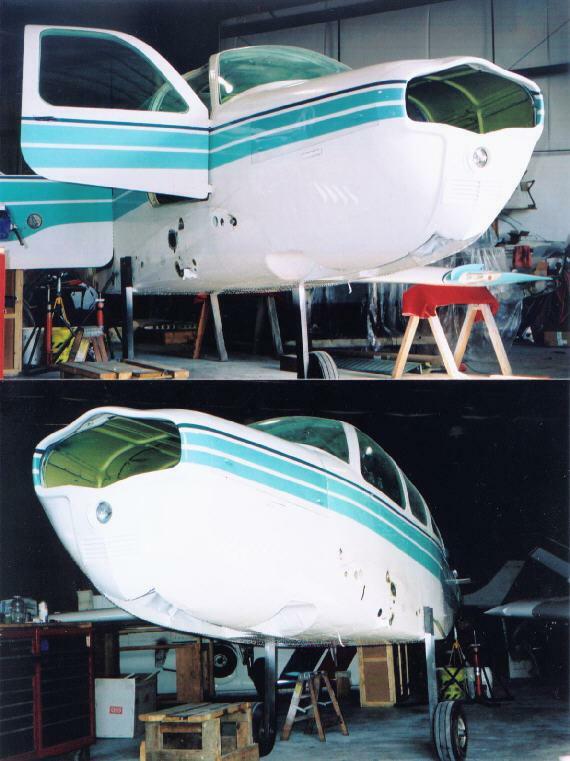 Beech V35B repair | AVSTAR Aircraft of Washington, Inc. If you are given lemons, make lemonade. If you have a problematic V35B powerplant, and the unbelievable has happened, maybe this is your chance. If the tail pipes are flat, there is more paint on the runway and more asphalt on the belly, it’s time to re-group. 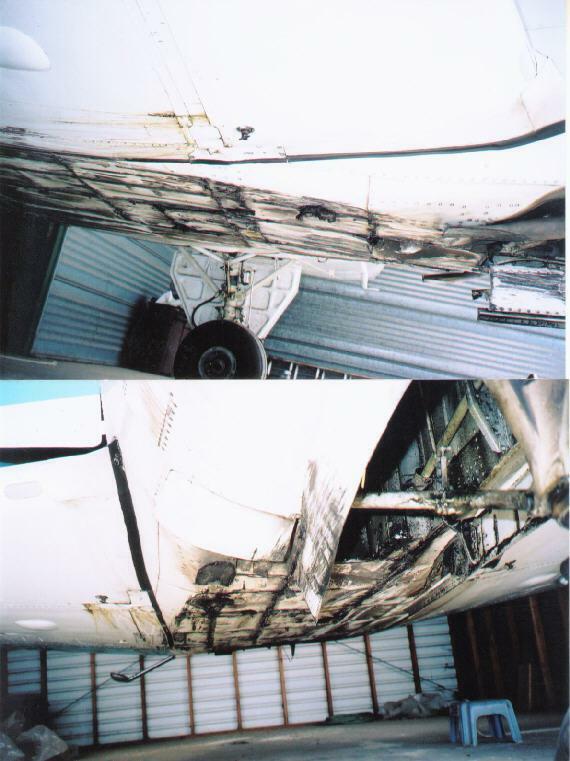 This one would have taken too long to prep for ferry, and the wings needed to be off for repair facilitation. On the road we go! She came down hard, taking all the bottom sheet metal from FS 12 to FS 151, and most of the structure to go along with it. Here, most of the new structure is being fit. 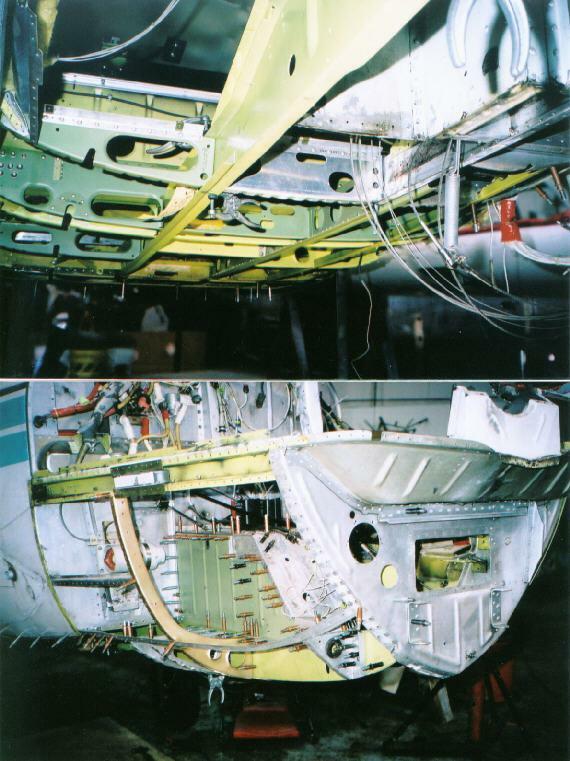 The forward and aft flanges on the main wing spar carry through were ground down and mangled pretty well. Well beyond the scope of the service repair for cracks. 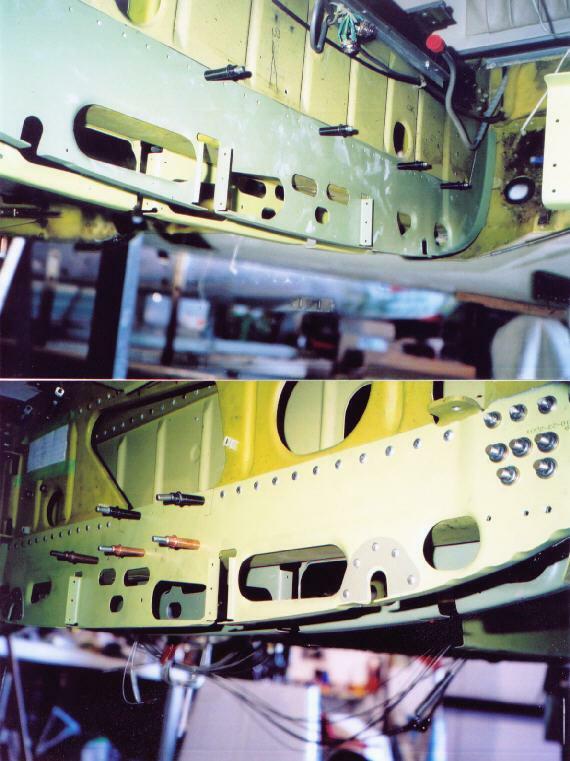 Sometimes, you’re better off not taking too much apart; as this looked to be one of those times, the damaged areas were removed, new sections of web overlayed to the existing areas, and assembled. New skins were fit and installed. The original nose bug was retained. Note the hand-painting on the upper cowl; it will disappear - but, more on that later! 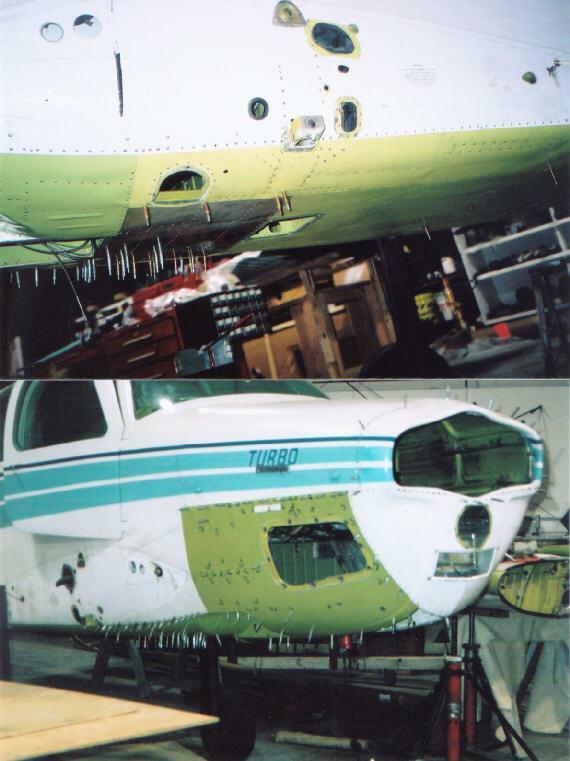 Besides being sent out to re-paint the damaged areas, wing leading edges and some other small areas were touched up to customer satisfaction. About the engine. A fairly high time 520 was in place. 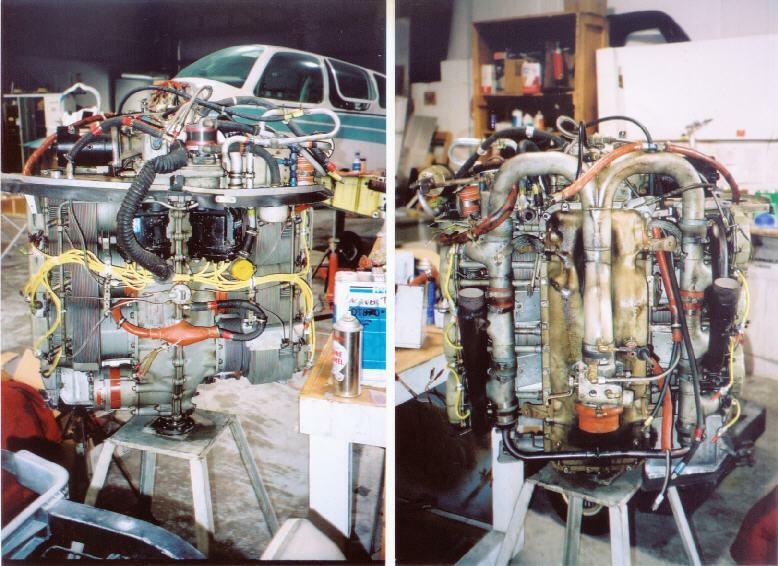 This engine had been modified with Rajay turbos, and was consuming and throwing oil at a pretty good rate. The customer decided that it was time to retire this unit, so a fresh IO-550-B was ordered. 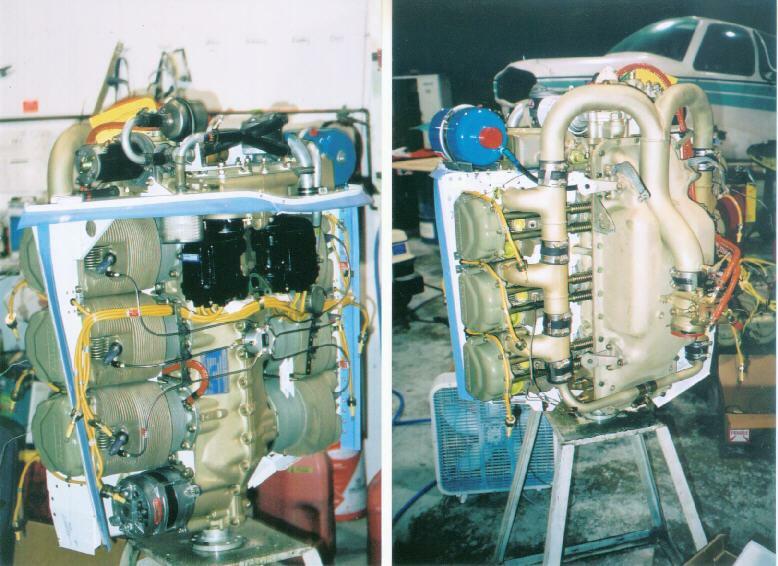 When the engine arrived, it was built up with the D’Shannon baffle system and air/oil separator prior to installation. 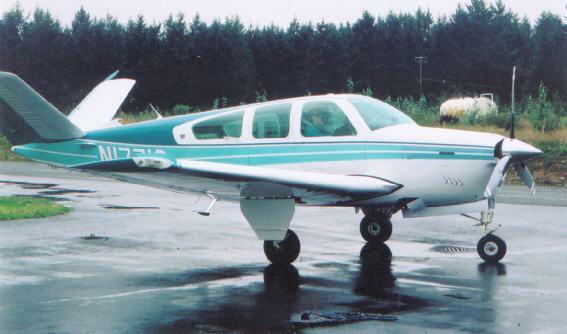 Toss on a new Super Scimitar prop, new fuel cells, and some other minor repairs and modifications. The first flight went so well (one half turn on a trim tab cable was all she took for adjustments), the customer took possession almost immediately. You can read his thoughts in the “Our Customers” section of this web site.